This is a very rare opportunity to buy a new incredible contemporary villa with direct beach access. Completed in september 2011, this unique property has been built to high standards and great attention to details and strong focus with connecting the impressive sea views and to capture as much natural light as possible. The villa has been designed and constructed to include all the features typical of a contemporary luxury home. The split-level living room leads off the entrance hall into to the formal dining room beyond. This is the excellent entertaining areas, both open on to the spacious covered terrace with external fireplace which offers stunning views to the Med. A fully fitted kitchen with Silestone surfaces with a seperate laundry area and staff bedroom with bathroom with independent access complete this wing of the property. Additionally on the ground floor are three lovely and different styled bedroom suites – one of which is connected to the main south facing terrace. Beautiful lush garden with Bermuda grass and a stunning infinity pool with its own cascade. 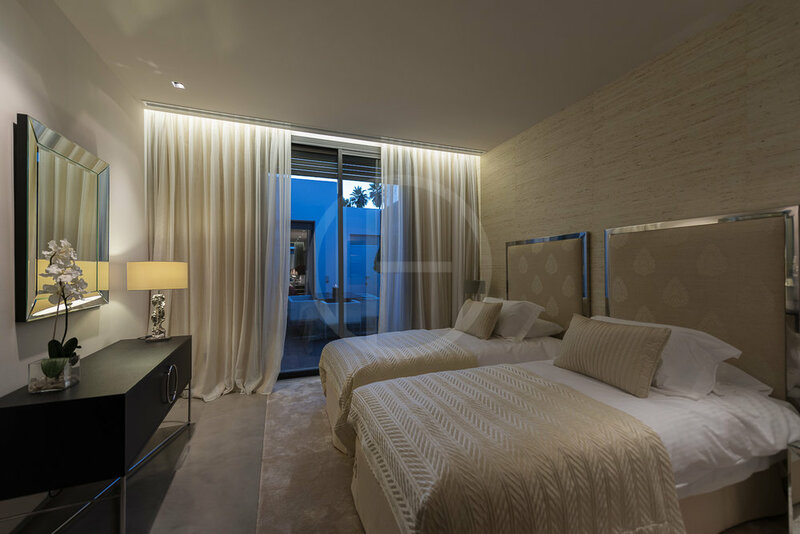 On the first floor there is a guest bedroom suite and the master bedroom with dressing area and en-suite bathroom. Both bedrooms share a lovely terrace overlooking the pool, garden and the sea. 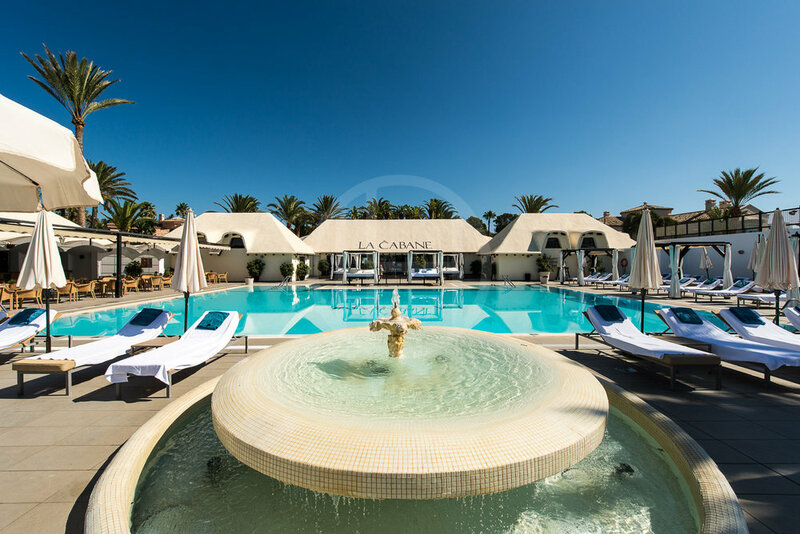 Los Monteros Playa is a gated and exclusive residential area with 24h security and with one of the most chic beach clubs on the coast, Le Cabane. 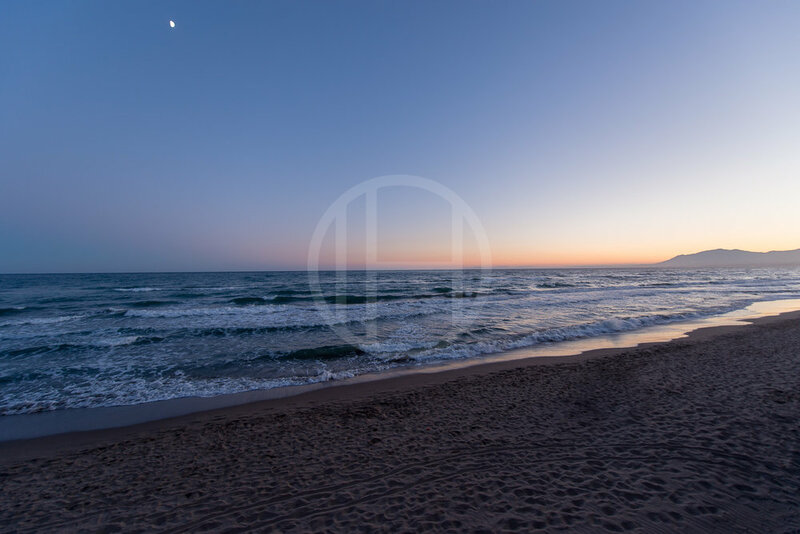 The beaches in this area are some of the best on the Costa del Sol. It’s just a 12 min. drive to the centre of Marbella, and a has a short drive to all amenities, tennis and golf clubs.